Famed activist investor Carl Icahn has set his sights on Netflix. Netflix's stock surged Wednesday afternoon as billionaire investor Carl Icahn revealed that his funds have acquired a 10% stake in the streaming media and rentals business. Netflix (NFLX) shares tripped two circuit breakers in their rapid rise, triggering a temporary halt in the stock. When shares resumed trading, they cooled off slightly but still finished the day up around 14%. Icahn said in a regulatory filing that his funds have directly acquired or taken out options on 5.5 million shares -- and he's got some ideas about how Netflix (NFLX) can lift its stock's value. Icahn, a famed activist shareholder, thinks Netflix has "significant strategic value" for "a variety of significantly larger companies that are engaging in more direct competition with one another due to the evolution of the internet, mobile, and traditional industry." Translation: He thinks someone like Microsoft (MSFT), Amazon (AMZN), Verizon (VZ) or Comcast (CMCSA) -- all of which are building their own streaming video services -- should buy Netflix instead, and he's ready to do some dealmaking. Icahn amassed most of his stake through "call options," which confer the right but not the obligation to buy shares at a certain price. It's a way for investors to place a bet on stocks they believe will rise. He has until September 2014 to exercise the option, for which he shelled out $169 million. 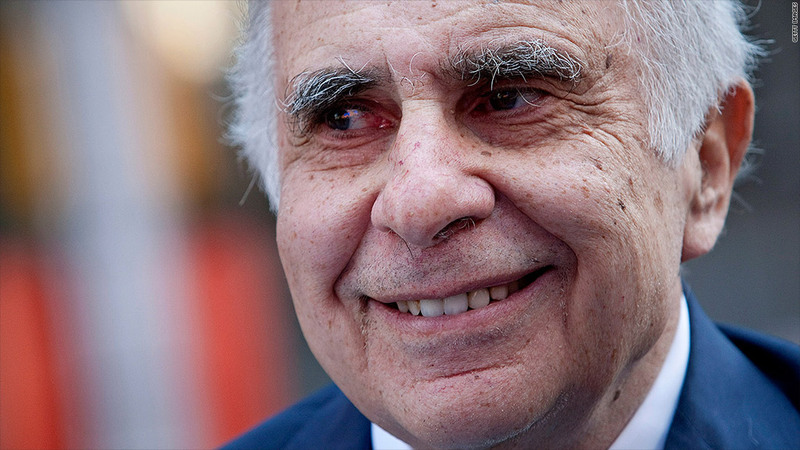 Icahn is famous for pushing his agenda for change at the companies in which he invests. It's no stretch for him to argue that Netflix needs shaking up. Just last week, Netflix shares plunged 16% on a third-quarter earnings report full of bad news: The company offered weak guidance for the current quarter, and reported figures for new streaming subscriptions that fell well short of expectations. Over the first three quarters of 2012, Netflix added just 3.4 million new U.S. streaming subscribers, far short of its previously announced goal of signing up 7 million new U.S. subscribers this year. CEO Reed Hastings recently called the projection "a forecasting error," and said a target of 5 million was more realistic. Meanwhile, studios are demanding a lot more cash for the streaming content they're providing to Netflix, while subscriptions to the company's DVD service are declining. Netflix's rivals, which include Hulu and an upcoming Verizon-Redbox (owned by Coinstar (CSTR)) partnership, are making headway into the super-hot streaming video space. Many of them are tech or media titans that have other revenue streams to finance their growth and content acquisition costs. Netflix, on the other hand, is dependent solely on its core product. It's a long list of obstacles, and investors don't seem convinced Netflix can navigate them. Before Wednesday's runup, Netflix shares were close to flat year-to-date.